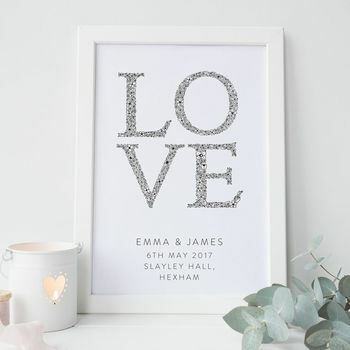 A beautiful personalised keepsake print, digitally printed on to 300gsm textured card stock - the pefect wedding gift. 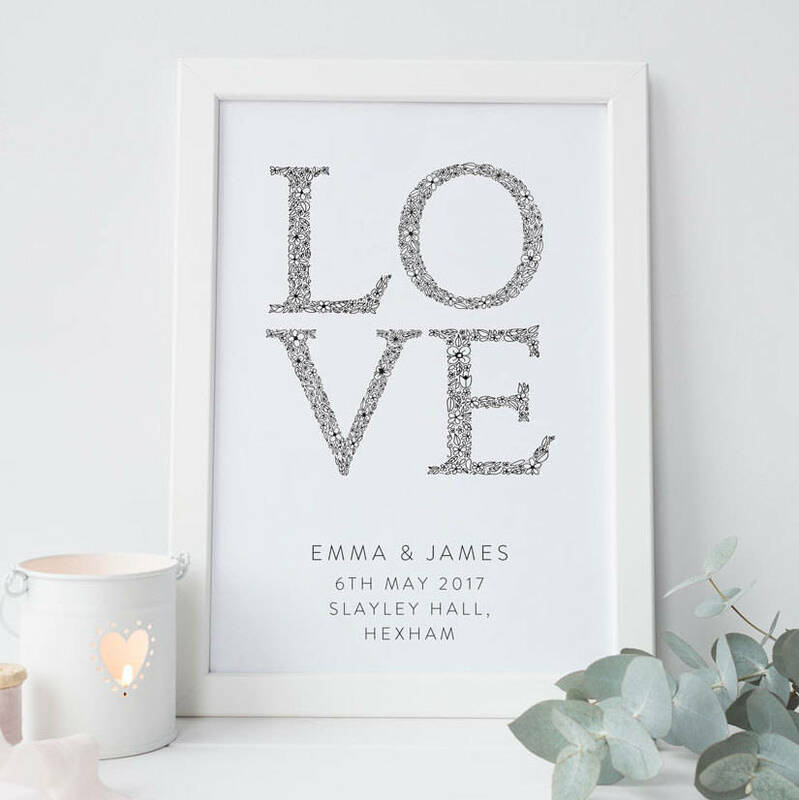 This print is the perfect keepsake to give as a wedding, anniversary or Christmas gift! Makes the perfect gift for a paper anniversary!